Service Solutions Didcot offer high quality, local servicing, with low, fixed prices. Our simple to use system makes car servicing easy and cost effective! 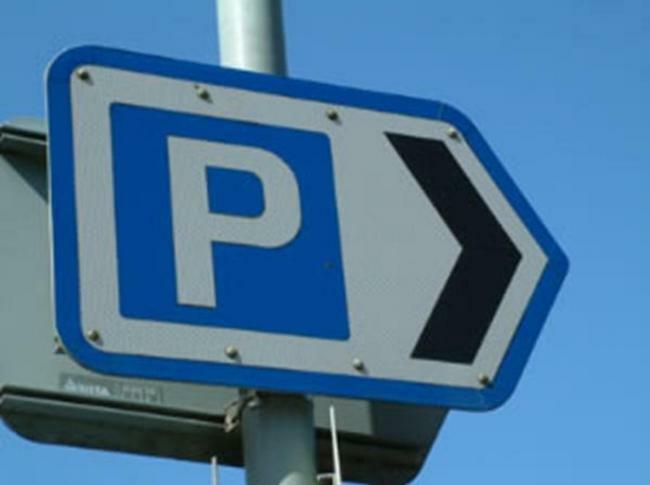 Great News – Private Parking Firms Cannot Fine You..! Yes you read right! Private parking firms can’t fine you, at least not in the same way councils can. These are just invoices dressed up to imitate parking fines and shouldn’t be treated in the same way. Every effort is made by supermarkets and similar housing estates and private parking firms to copy the looks of the council notices, even going as far as calling them Parking Charge Notices to crudely mimic the official Penalty Charge Notices – Do not be fooled, these are only invoices. We have put together all the information and tips you need to fight these and give you the very best chance of avoiding these frustrating costs. Click here now to use your servicing coupon! Save 15%! If a ticket gets slapped onto your windscreen from a private company and you question the way in which it was awarded, the company may be able to huff and puff, but in terms of hitting your credit rating or sending bailiffs without a huge expense, they don’t have anything like the leverage of the official Penalty Charge Notices charged by the council. Obviously landowners have the right to charge for you parking on their land. This guide however is about letting you know what rights you have as a motorist. If you clearly disobey the guidelines made by a parking company; block a hospital exit, park badly and outside the clearly stated and signed bays, or ignore the clearly marked signage then you should pay the invoice. However in many documented cases of private parking firms the guidelines and rules are abused either through genuine error or over zealous attendants. Photos of any unclear signs, worn out or unclear markings and anything else that doesn’t make the parking in the area you’ve been fined for clear will really help your case. Take shots of the meter you used and also your car in position plus any evidence of the time. Snap any unclear signs, bay markings or lines, and areas where you believe they should be. Also take pics of where your car was and your ticket, plus anything else that might be relevant. Keep copies of all letters and emails that you send and receive, this is really important in this type of case, it will really help you to win your appeal. Keep any evidence that may support your case, for example if you broke down or had an emergency. Witnesses are always a real asset in this type of situation, anyone who also suffered the same dis justice or struggled to understand poor signage will really assist in your cases. Its worth noting that over 50% of parking fines that were appealed at a tribunal were overturned! With some of the big firms you will also find a specific appeals body. With these organisations 37% of cases were also won by the motorist, between 09/2015 and 07/2016. 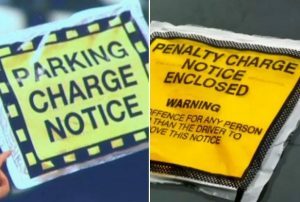 See our example below of a genuine council Penalty Charge Notice and an imitation ‘invoice’ created by a private parking firm to shock motorists into paying out without questioning why. The image on the left is the unofficial Penalty Charge Notice – Could you tell the difference? Another good tip is to never pay the fine without looking into it, you will find it so much hargder to claim money back that fighting to pay in the first place. If you receive a ticket from a private parking firm which you feel is unfair, just dont pay it. Follow the steps above to clearly and fairly question it. Its not an exact science but at over 50% of the successes going to the motorist its certainly worth trying. All our data was retrieved from Google, MoneySavingexpert, and the feedback of our customers.